a. Satellite image from Nepal MFD which shows the storm position at approx 8.00pm IST. b. 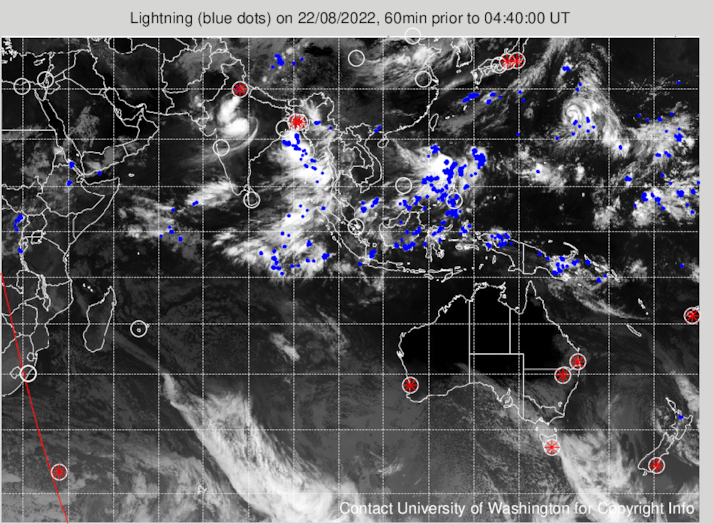 Image of lightning (blue dots - associated severe weather in thundershowers and rain) in the entire south Asian region from the University of Washington at approximately the same time. 2. The absence of clouding from south Bengal as compared to previous image should come as a huge relief to most of us.